Aaron Ramsey has joined European football’s monied elite after agreeing a lucrative move to Juventus, but doubts remain about the Arsenal midfielder’s ability to justify his jaw-dropping salary. Reports in Britain claim Ramsey’s four-year deal will pay him a basic salary of £400,000 per week once he officially joins Juventus in the close-season. While some in the Italian media have questioned whether the contract is really that high, there can be no doubt the Wales star is now among the best paid players in the world. The staggering salary was available to Ramsey because his Arsenal deal was due to expire at the end of this season, making him eligible to sign a pre-contract with any overseas team after January 1 under the terms of the ‘Bosman ruling’ that provides the guidelines for free agent transfers. The 28-year-old is a quality player but few would rank him alongside soon-to-be Juventus team-mate Cristiano Ronaldo, Lionel Messi and Neymar, all global icons whose pay packets are now joined by Ramsey as among the biggest in the sport. Juventus’s willingness to splash the cash on Ramsey has surprised many but, because the Italian club didn’t need to give Arsenal a transfer fee, they see the deal as good business. Juventus sporting director Fabio Paratici told Gazzetta dello Sport that Ramsey can finally unlock his full potential in Turin. “Ramsey is a player who in my opinion has never found his position, because he has never played in a three (in midfield), which is his role, capable as he is of running from deep,” he said. Ramsey has provided six assists in the Premier League this season – more than any Juventus midfielder – and John Toshack, who gave Ramsey his Wales debut, believes his former player is versatile enough to cope in Serie A. “He might do better in a three-man midfield, where he has the possibility to push forward. In modern football you do need to be versatile and he is a modern player,” Toshack said. Arsenal had been prepared to offer Ramsey an improved long-term contract themselves, but that deal was suddenly taken off the table following the arrival of new manager Unai Emery in the close-season. “We thought we were in a position where we had agreed a deal but that’s no longer the case,” Ramsey said in October. While Ramsey is a fan favourite for his whole-hearted play and knack of scoring crucial goals, he has been reduced to bit-part status under Emery. Ramsey has made only nine Premier League starts for Arsenal this term, featuring 13 times as a substitute. Even in his truncated time on the pitch, Ramsey has given glimpses of the talent Juventus have paid so richly to acquire. His stand-out moment came in a rout of Fulham when he helped instigate a flowing move that ended with his audacious back-heeled finish for one of the goals of the season to date. This rollercoaster campaign has been the perfect encapsulation of Ramsey’s 11-year Arsenal career. 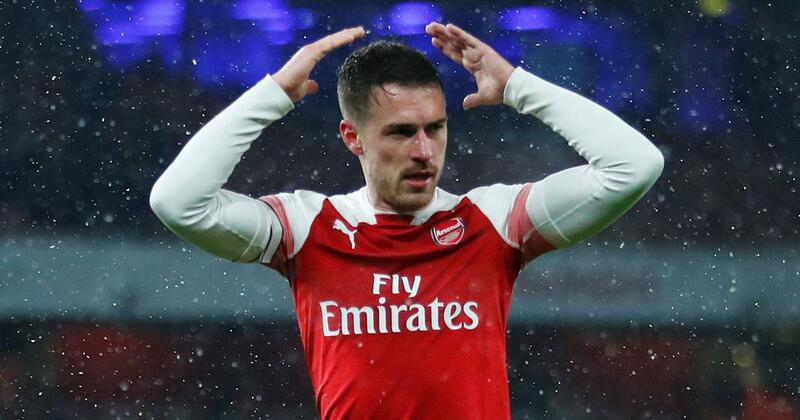 Signed from Cardiff in 2008 as a precocious 17-year-old who had already become the second youngest player to appear in the FA Cup final, Ramsey was heralded as the centre-piece to a new era for then Gunners boss Arsene Wenger. Ramsey initially looked capable of living up to that billing, but a horrific broken leg suffered in a challenge from Stoke defender Ryan Shawcross in 2010 took a heavy toll. It was three years before Ramsey was mentally and physically recovered. His gruelling rehabilitation was rewarded when he scored the winner goal in the 2014 and 2017 FA Cup finals and was voted Arsenal’s Player of the Year last season. Now Ramsey is preparing to follow in the footsteps of fellow Welshmen John Charles and Ian Rush, who also made headline-grabbing moves to Juventus. Charles is still revered as a Juventus legend, while Rush is a footnote after one forgettable season. Ramsey’s place in Juve’s hall of fame is uncertain, but his bank balance will never be a problem again.